One could just state the facts for this one: Like that the boys behind this project have worked on it for seven summer holidays. Or that almost all the interior shots were made in the basement of Eric’s parents’ house. Or when Eli Roth watched the video in his collection he was so impressed, he mailed it to Steven Spielberg. 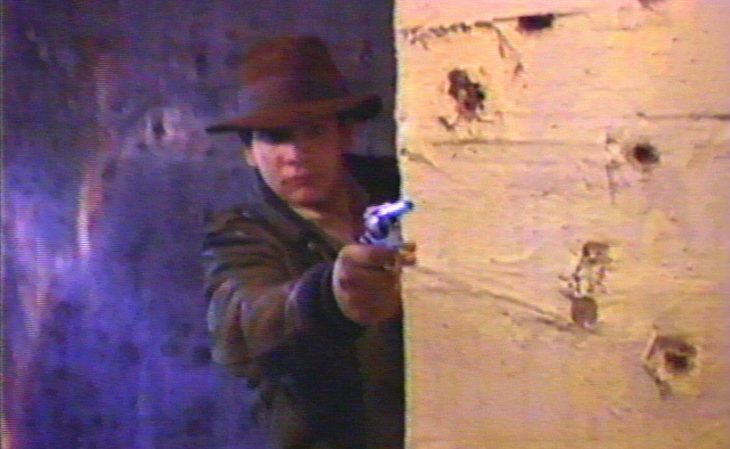 But what will be remembered from “Raiders of the Lost Ark: The Adaptation” is the disarming energy paired with youthful recklessness and crazy creativity with which the three boys at the top have implemented this insanity. Once you’ve seen a dog sitting on Indy’s shoulder instead of a monkey; how a teenager gets dragged behind a driving car, or how a fire-stunt almost burns down their parents’ house, then you’ll never again doubt how powerful, how inspiring and beautiful cinema and its fan-culture is. And to that we doff our fedora.